Are you a fan of Amazon.com? As a mother of a toddler and with another baby on the way, I'm a huge fan of Amazon. One reason, I love Amazon are the customer reviews. When it comes to selecting products, the reviews and recommendations are a huge help. While the OLLIE Community isn't Amazon, it does have a few ways to make your life as an online/blended teacher teacher. 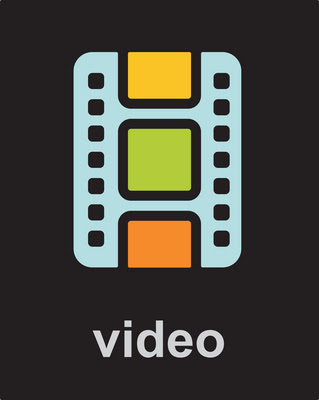 Today Mr. Miller will take a look at the video database where OLLIE community members can share and recommend videos for other community members to use in their own courses. The recommendations from community members can help take some of the time consuming guess work out of finding videos to use with students. Mr. Miller takes some time to look through the database and shares a video that he uses with his students. He earns a sharing badge. As he looks at the database, he finds that many teachers have created their own videos, which adds personalization and makes the instruction more exact to what's going on in the classroom. He would like to do the same, and wishes that he knew how. Then, he remembered the calendar for the 28 Days. With some excitement, he sees that days 15-17 will be looking at that process.